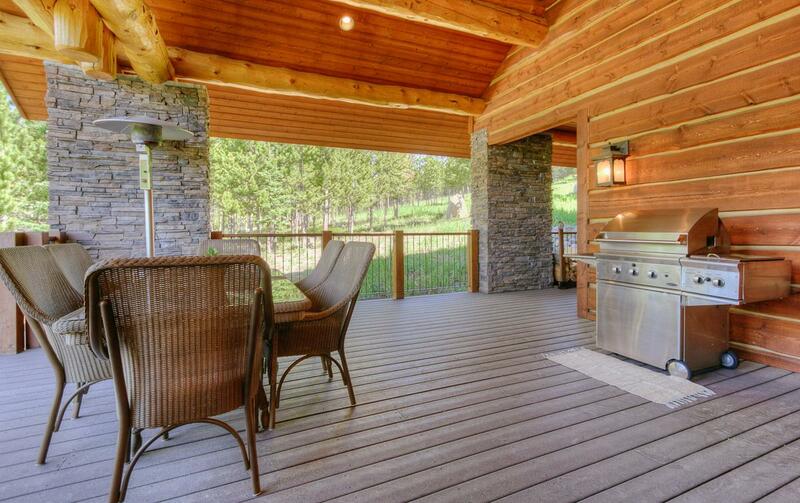 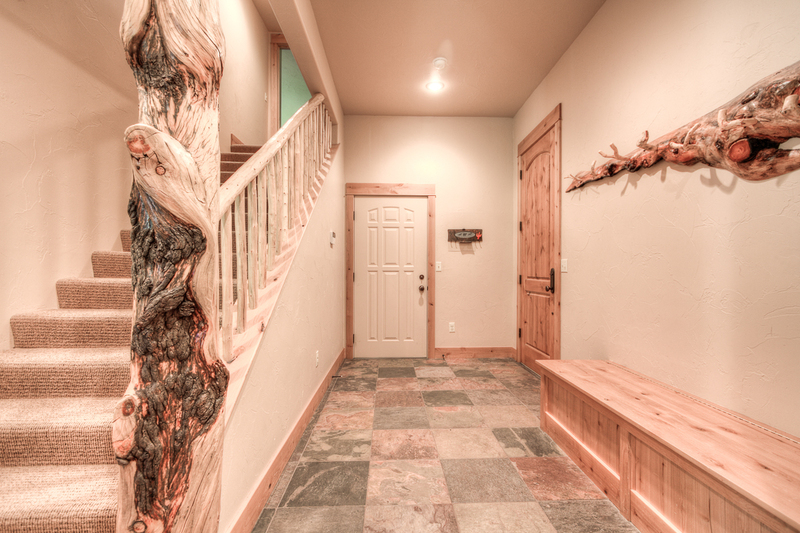 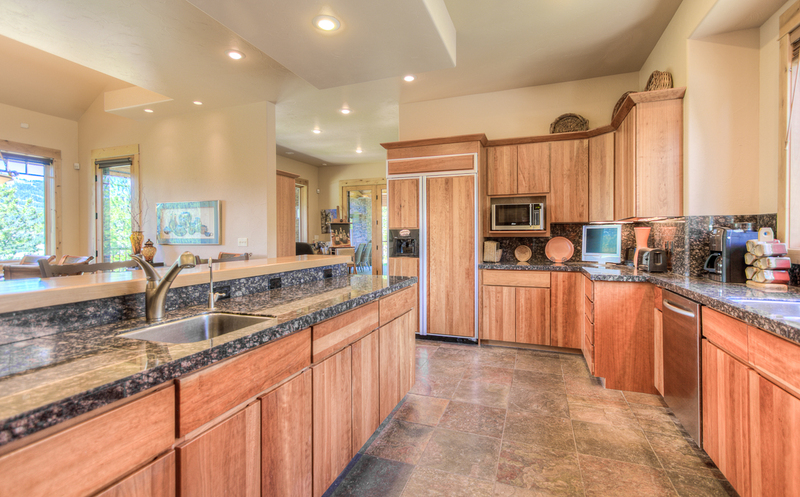 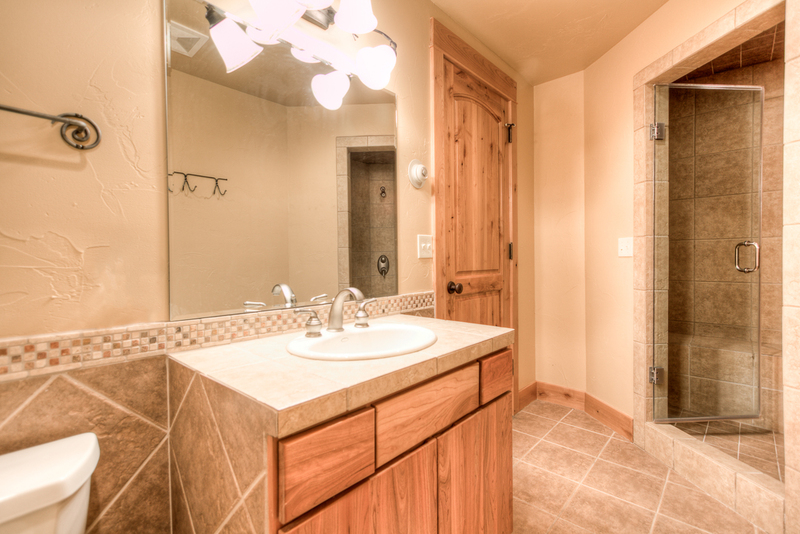 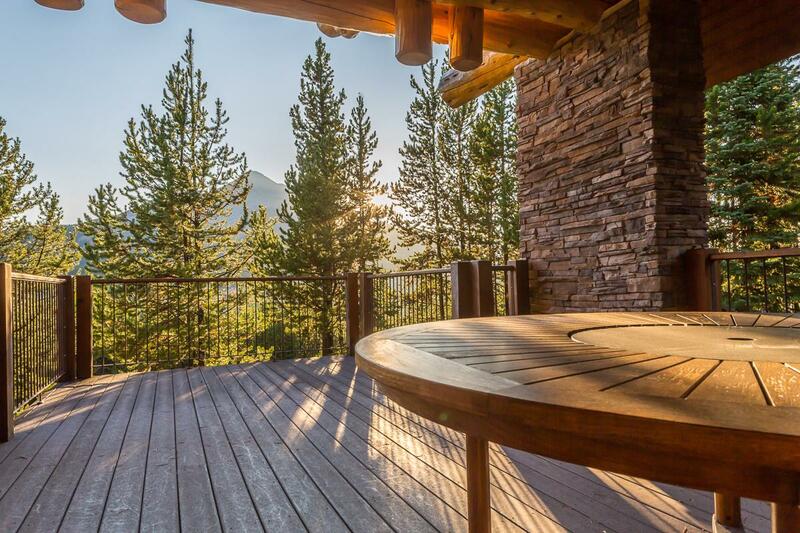 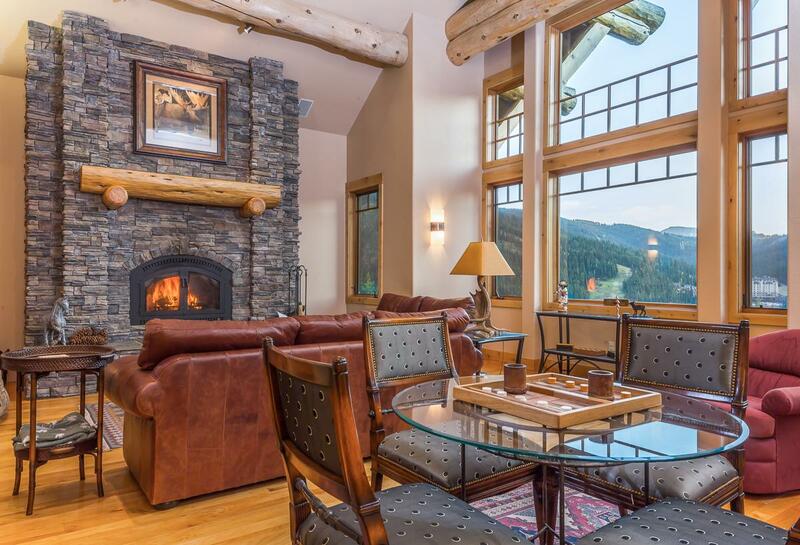 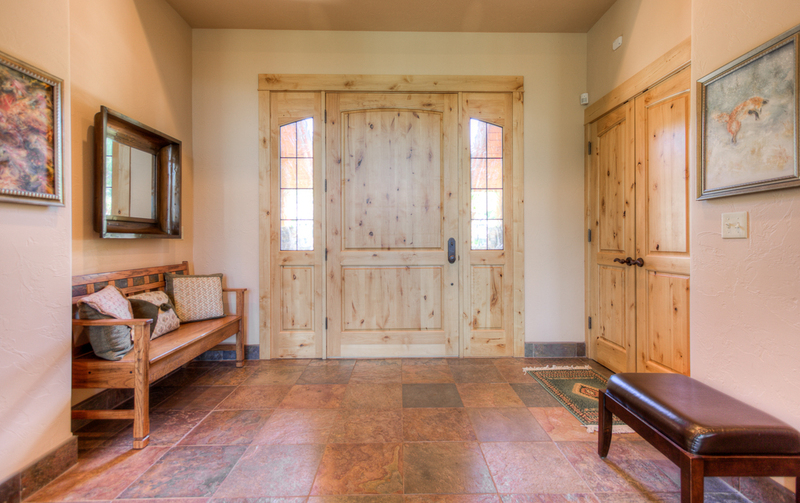 White Wolf Retreat is the perfect home for your next Big Sky vacation. 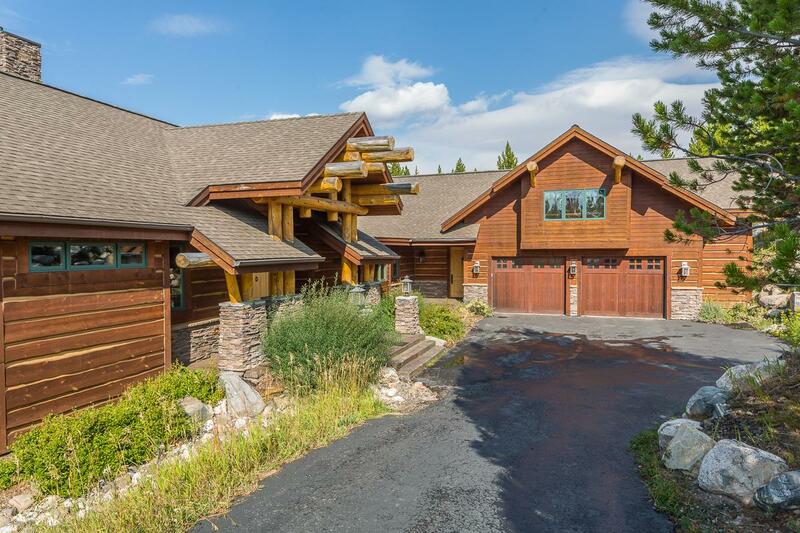 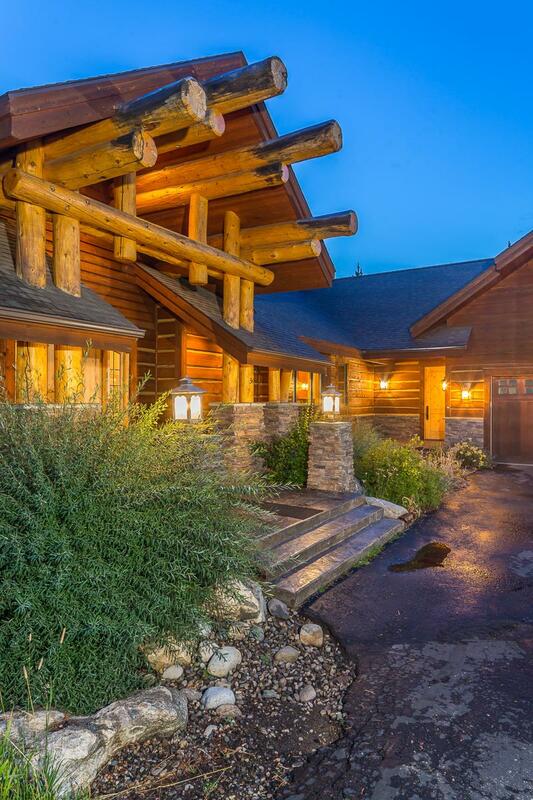 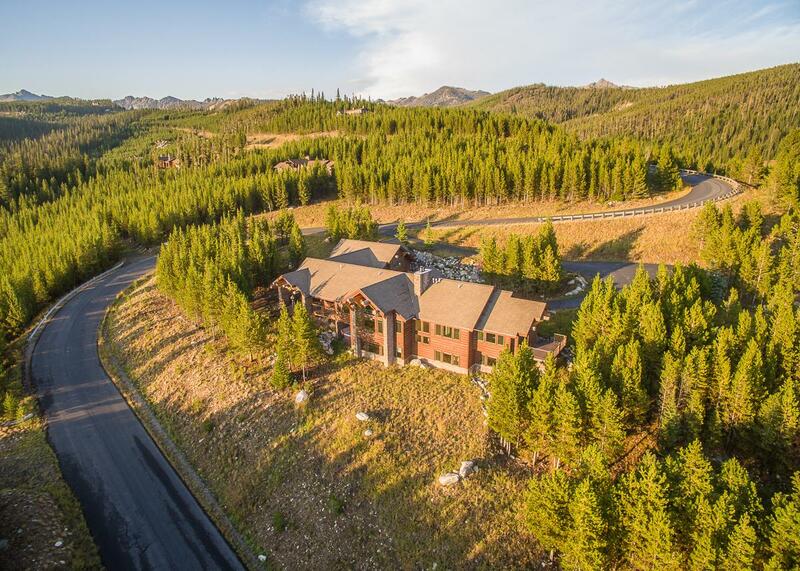 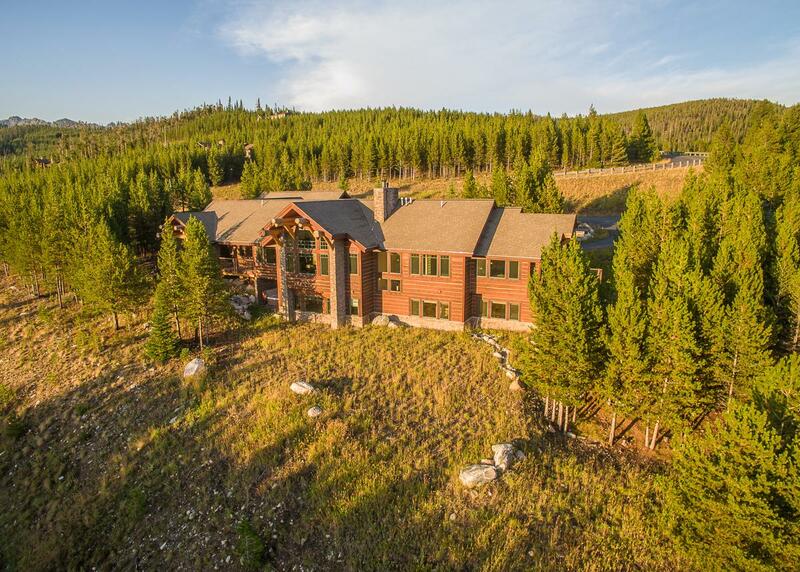 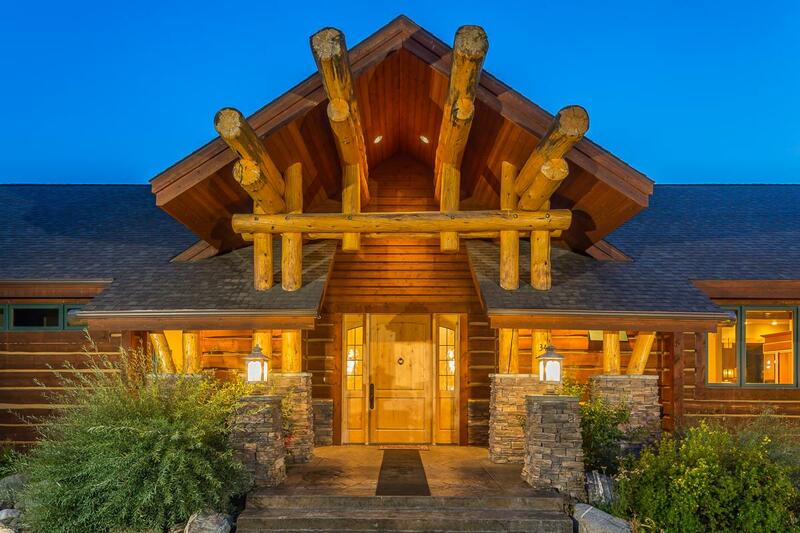 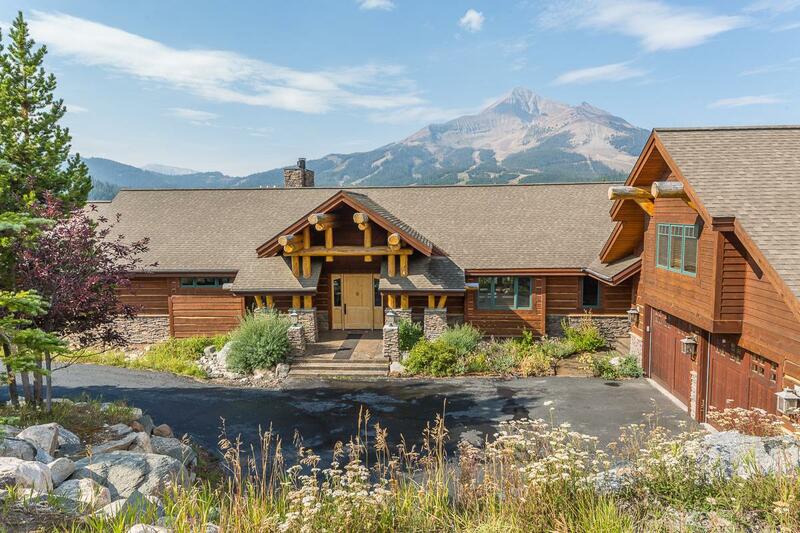 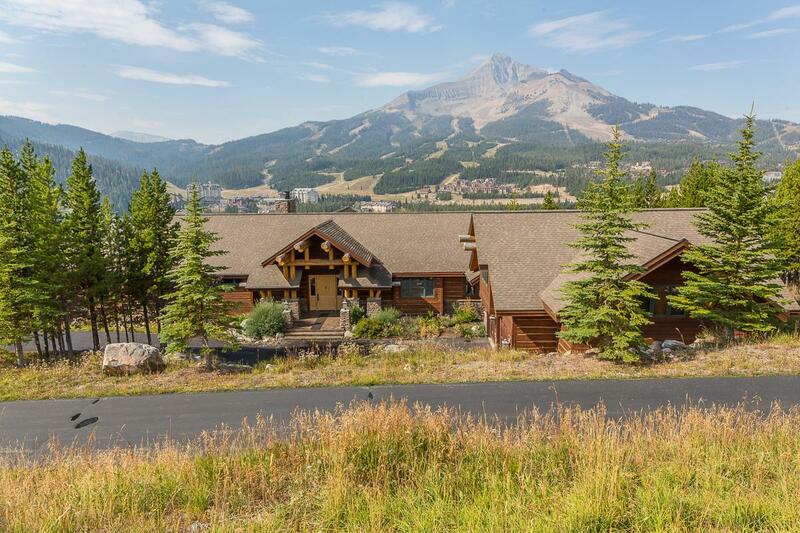 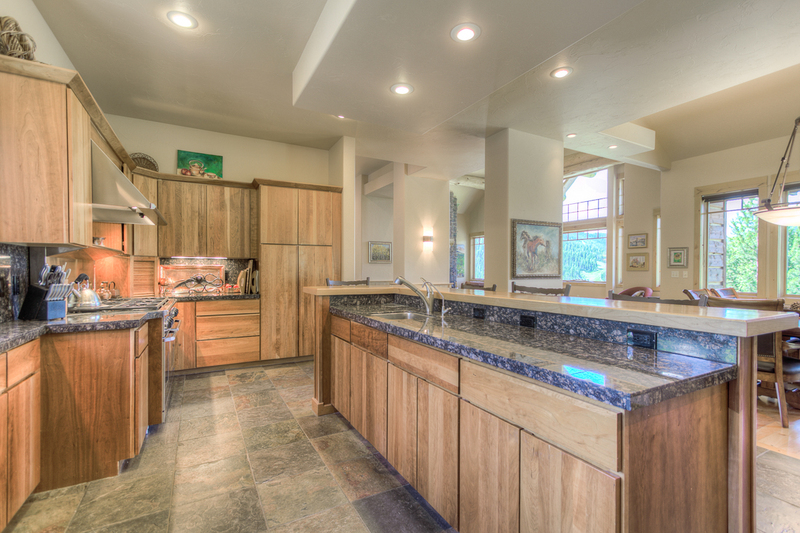 This home has an open floorplan with locally sourced timber and stone throughout and is just a 5 minute drive to Big Sky Resort. 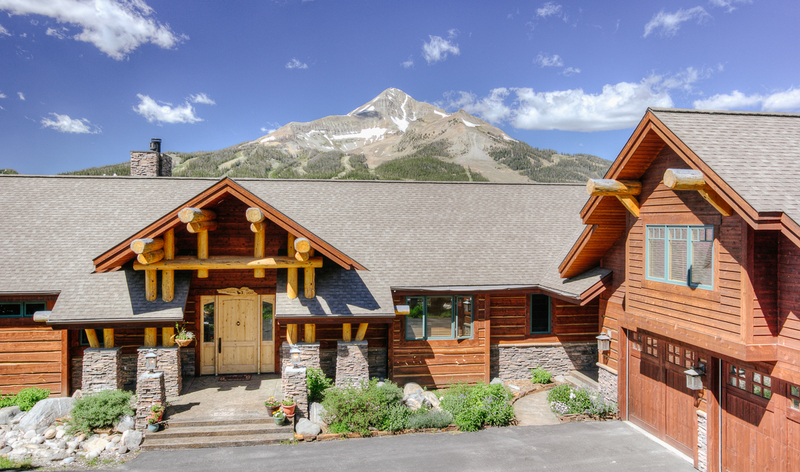 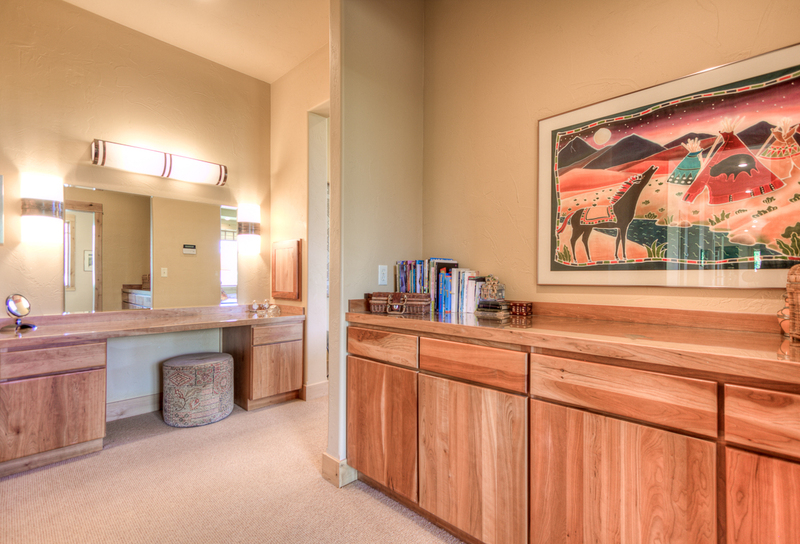 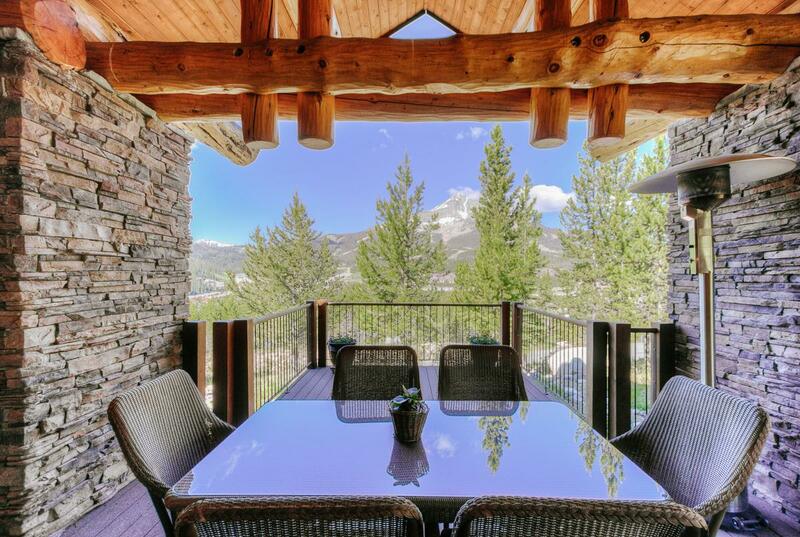 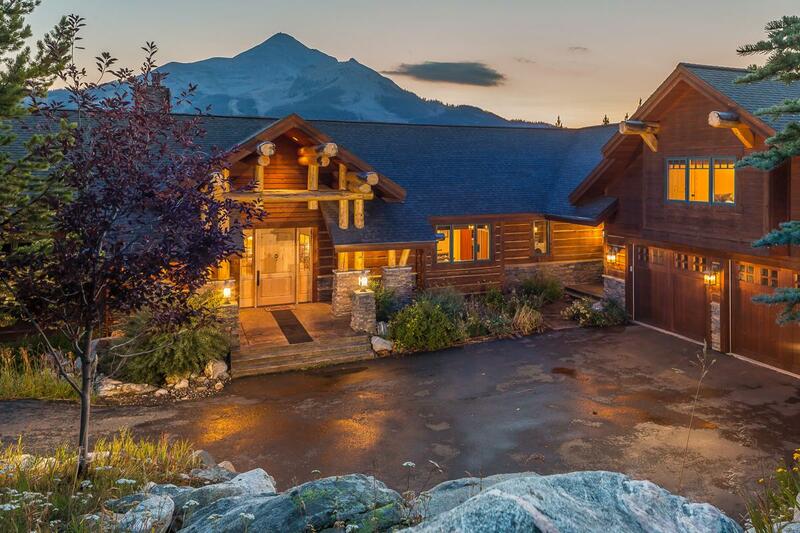 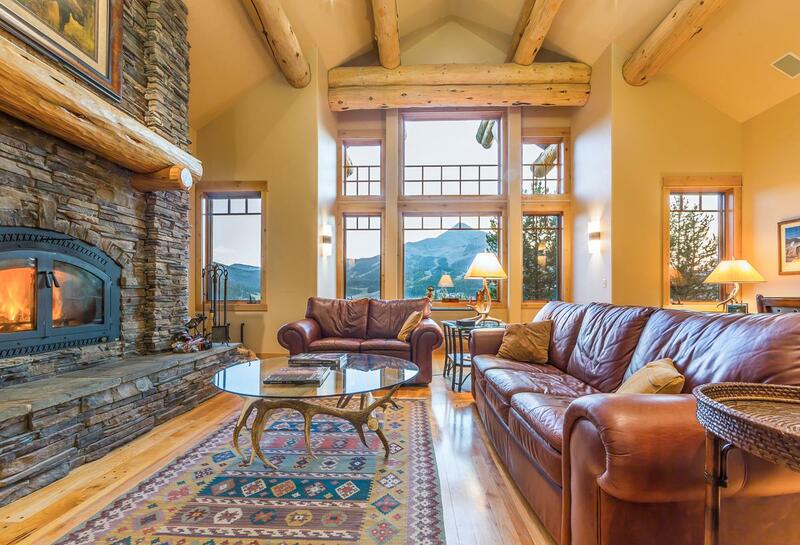 With incredible Lone Mountain views from every room in the home, it is sure to impress all. 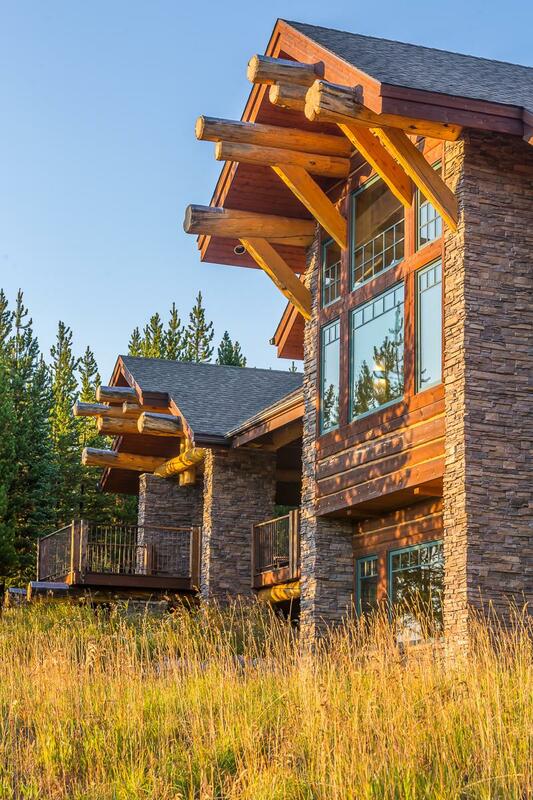 In the summer, there are many outdoor activities for guests such as fly fishing on the Gallatin, mountain biking, hiking and much more. 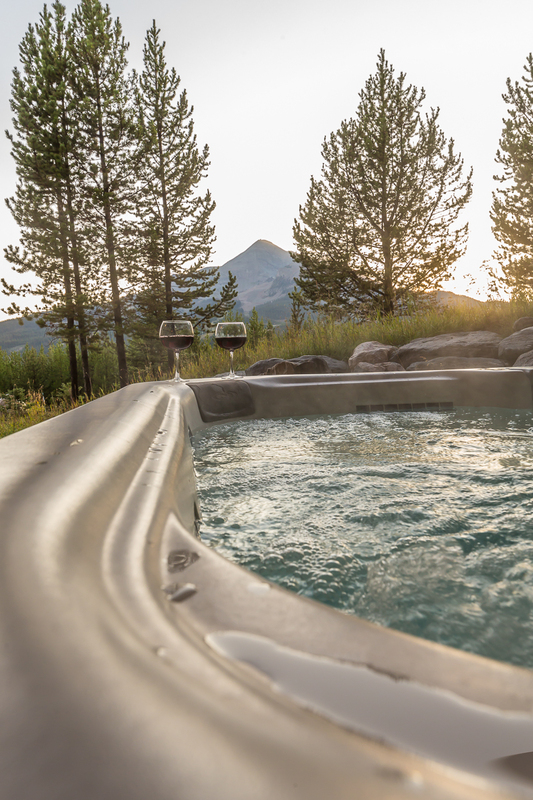 Beehive Basin is a popular hike in both summer and winter, and leaves from the trailhead just a few miles from this home. 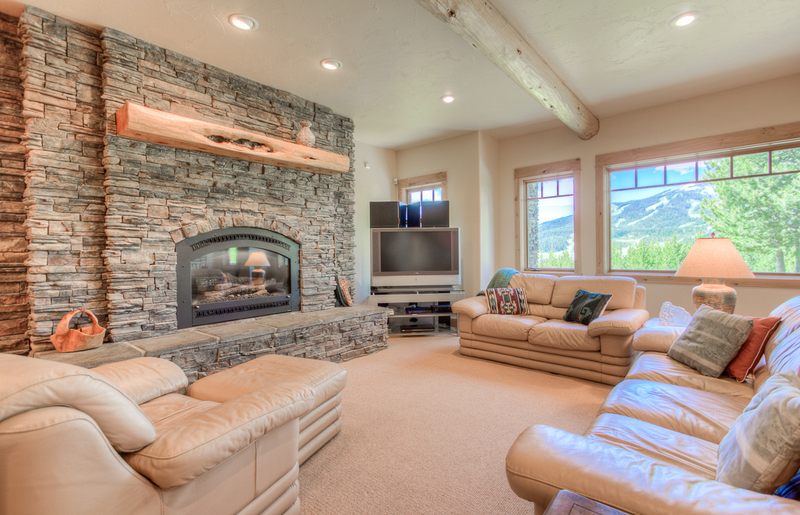 After a long day of adventures, the living room is the perfect spot for everyone to gather and catch up. 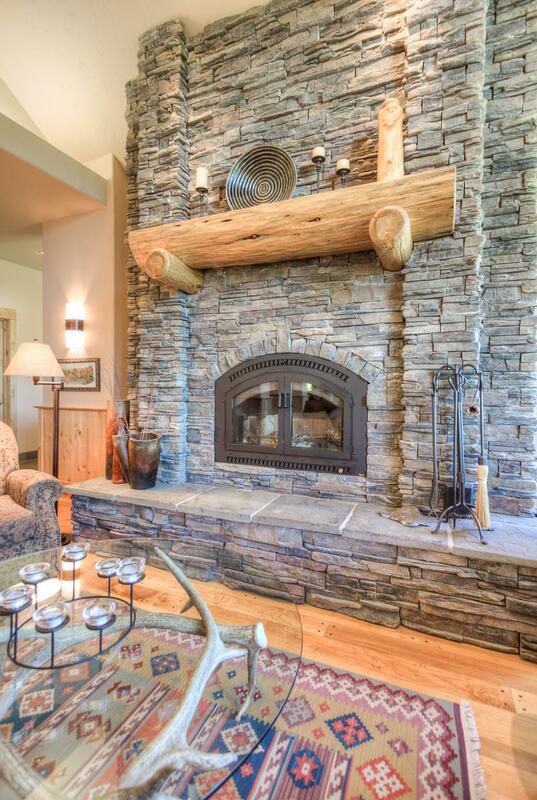 Cozy up to the wood burning fireplace on the sofa, loveseat or arm chairs. 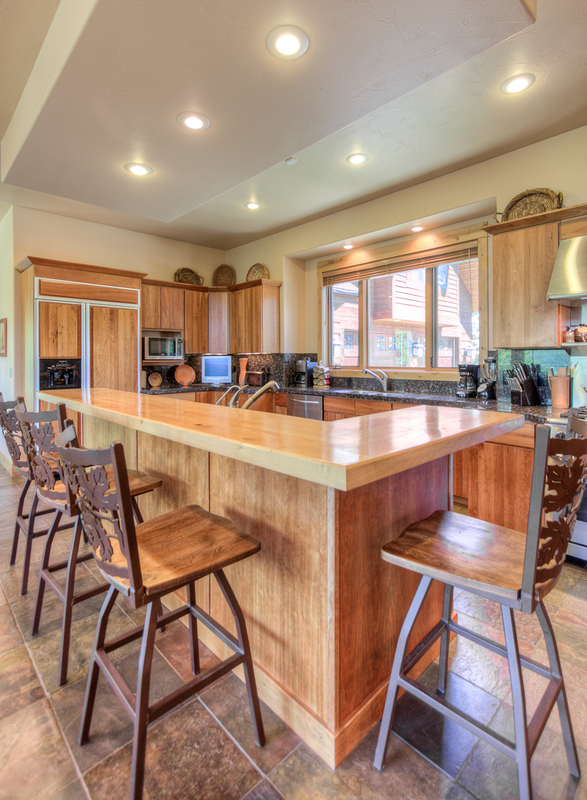 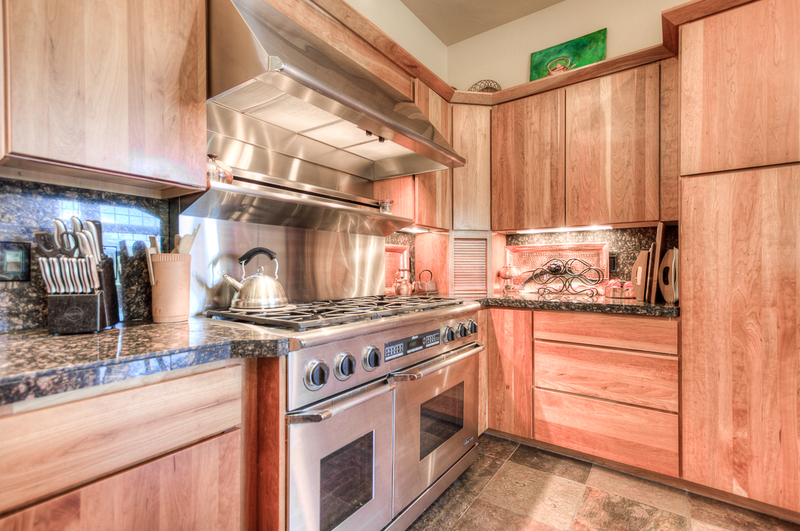 Just a few steps away is the spacious kitchen with stainless steel appliances and seating for 18 at two tables and an additional four at the island. 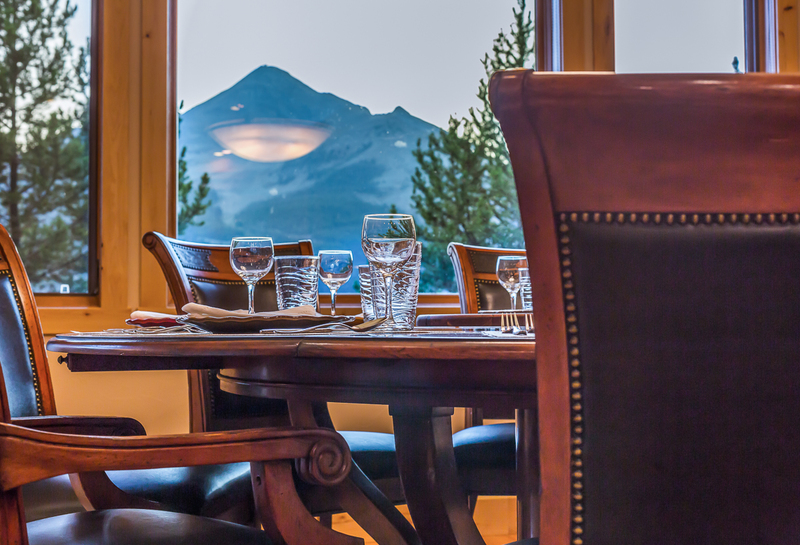 There is a large outdoor deck off the main level with a gas grill, outdoor dining space and spectacular view of Lone Mountain. 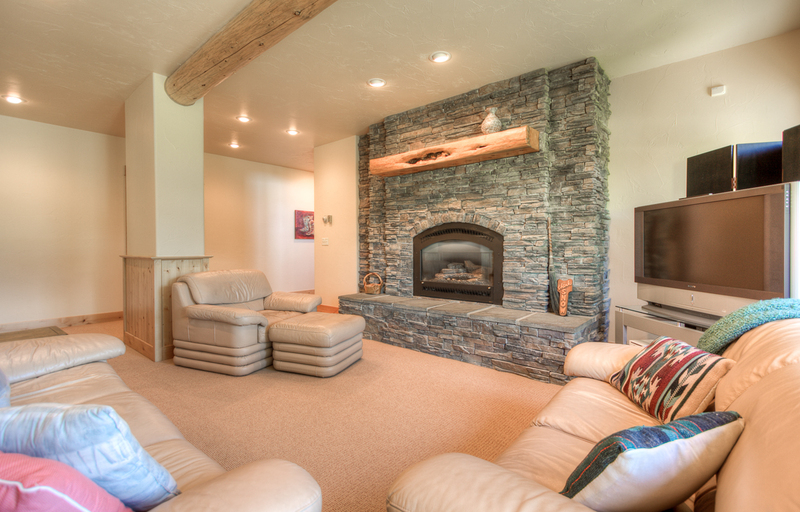 The lower level family room has a gas fireplace, wet bar, flat screen TV, and ROKU. 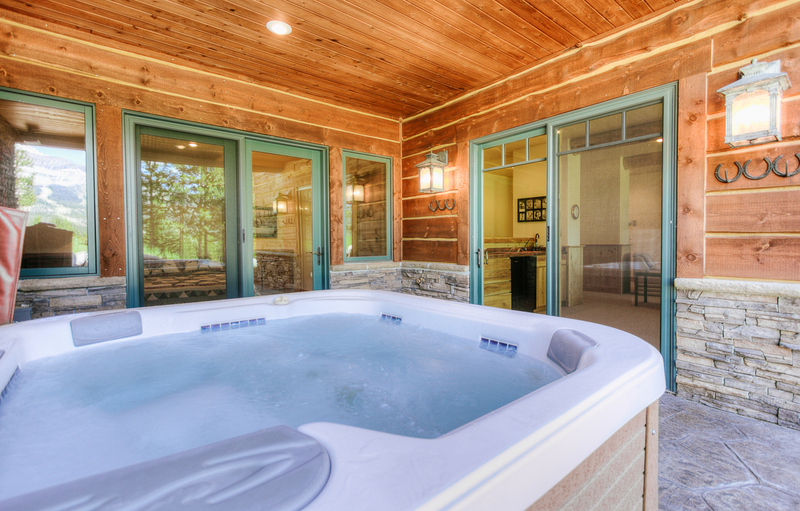 The hot tub is located off the lower level. 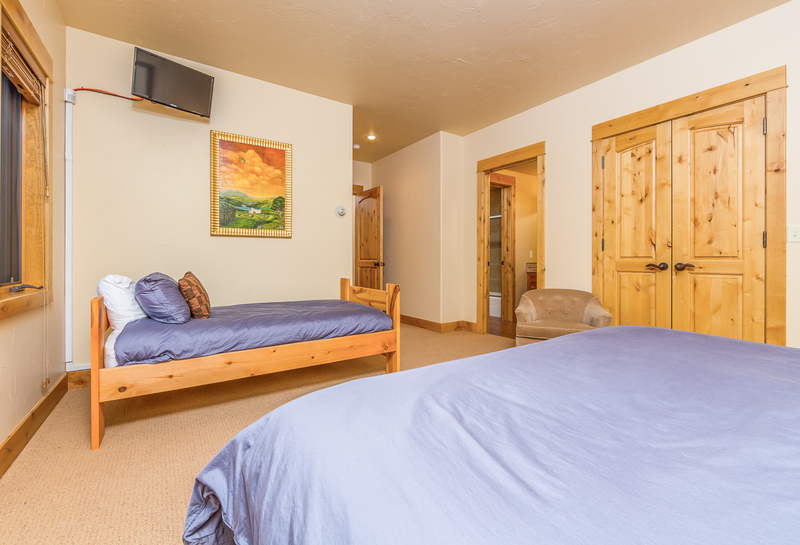 There are 7 bedrooms in total - four downstairs, two upstairs, and one on the main level. 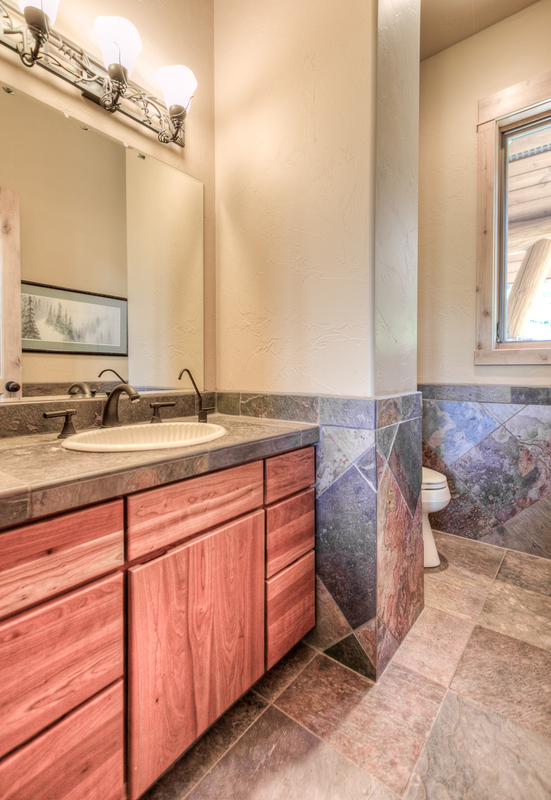 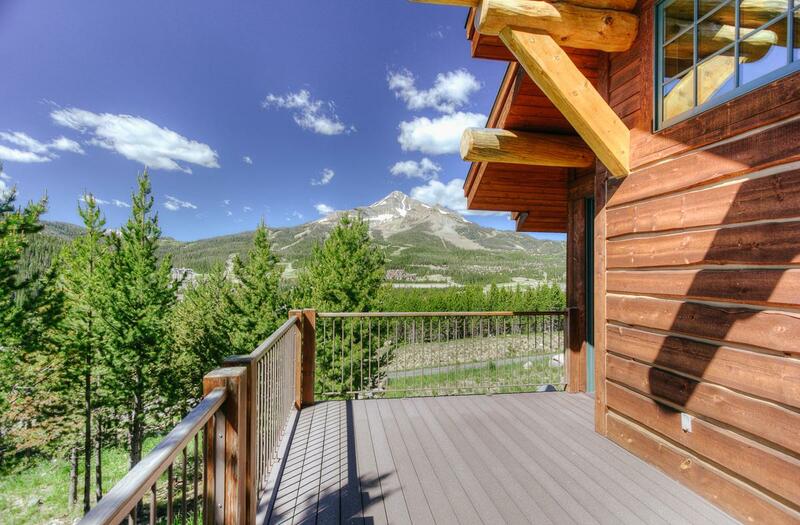 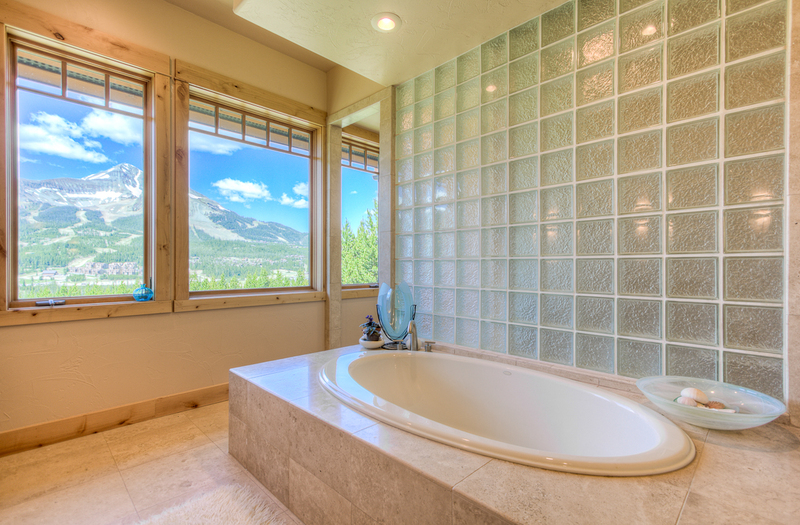 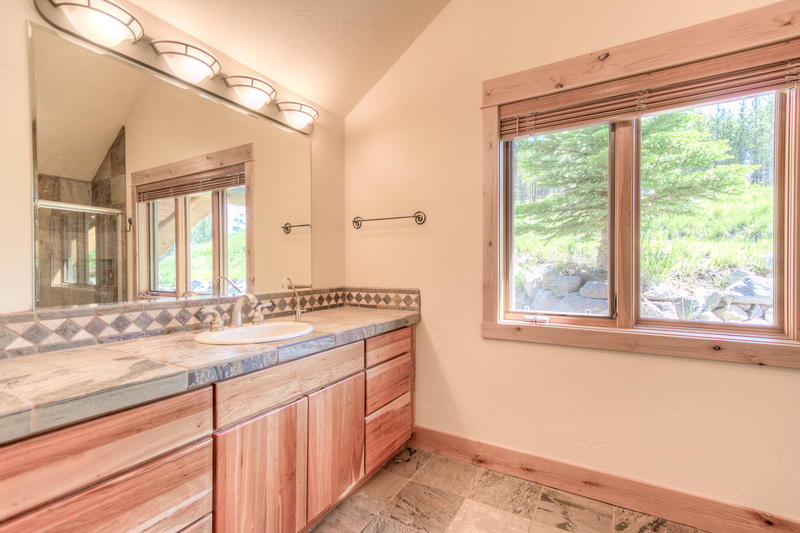 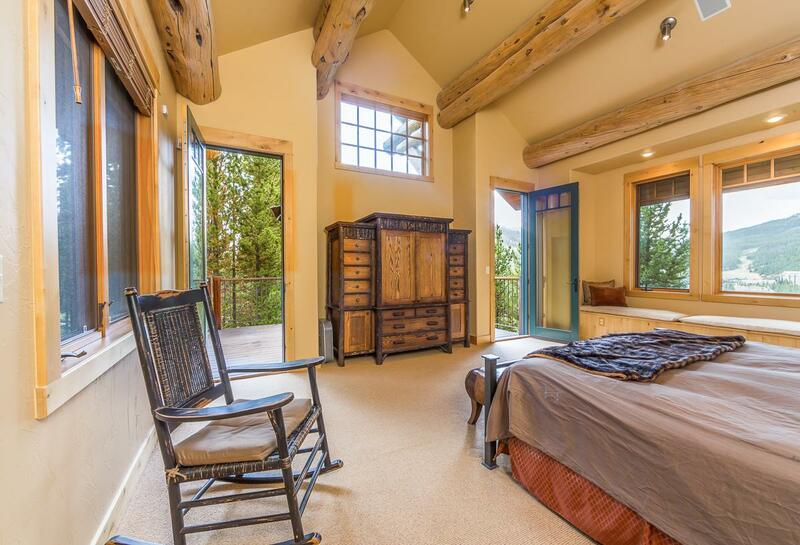 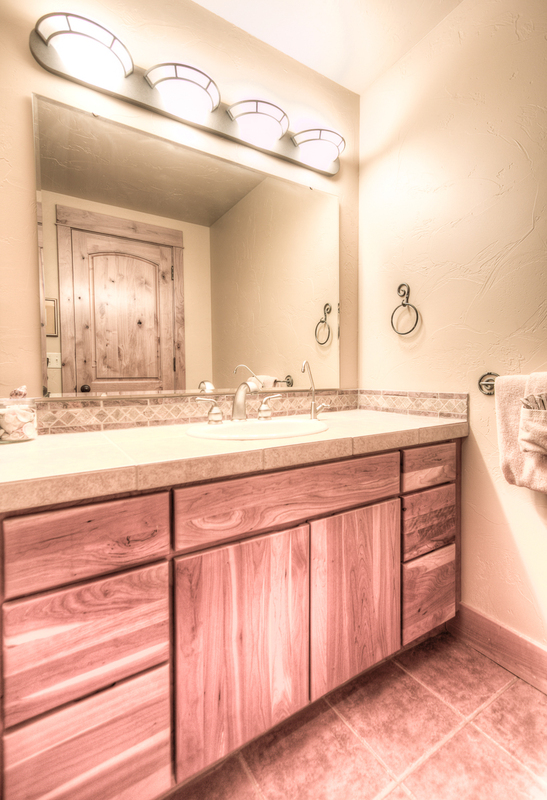 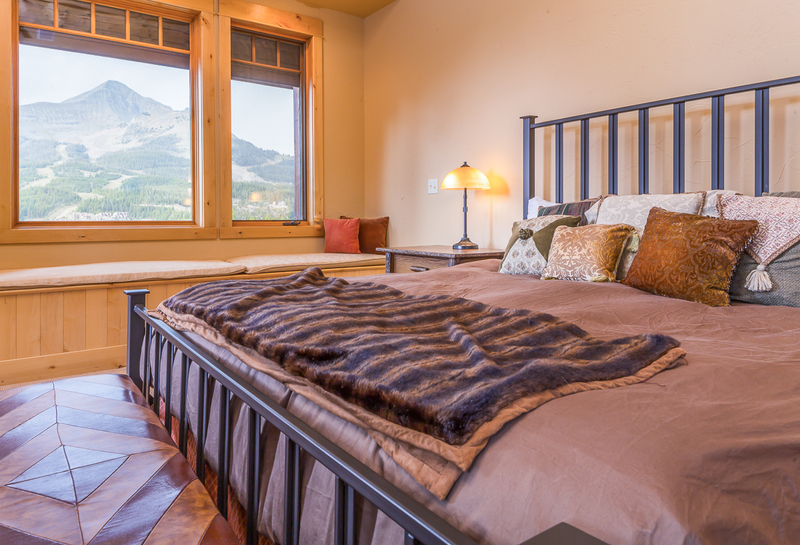 The master bedroom sits on the main level, with a king bed plus a daybed that pulls into two twin beds and a private bathroom with a soaker tub with direct views of Lone Peak and separate shower, as well as a gorgeous private deck. 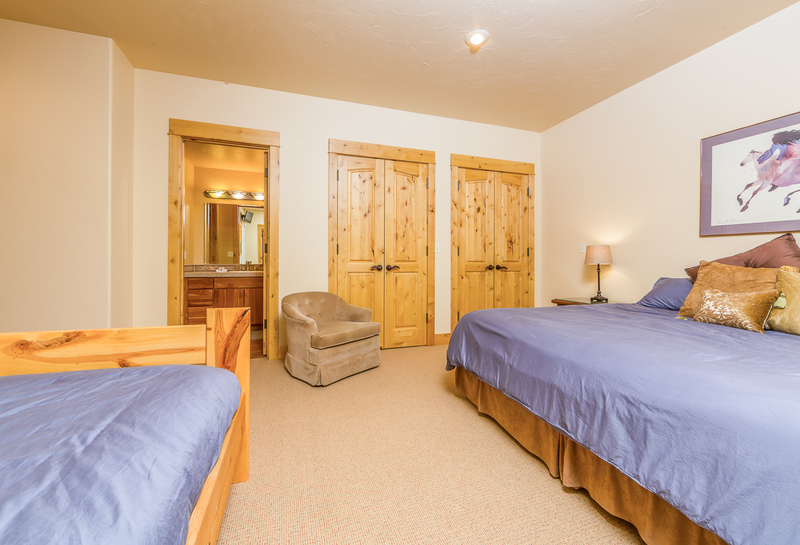 The two upstairs bedrooms known collectively as the Moose Lodge have a king bed plus a twin daybed (bedroom two) and a king bed with twin trundles which extend into a second king bed (bedroom three). 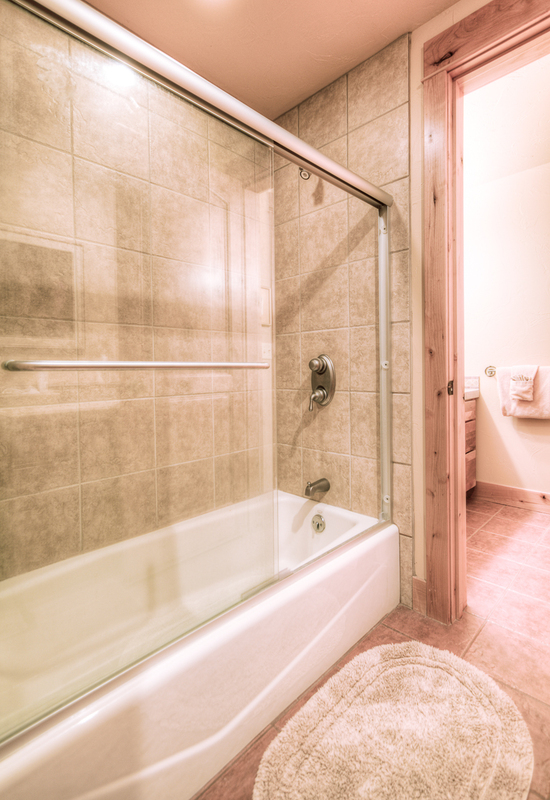 Bedrooms two and three share a bathroom and have a bath/shower combo. 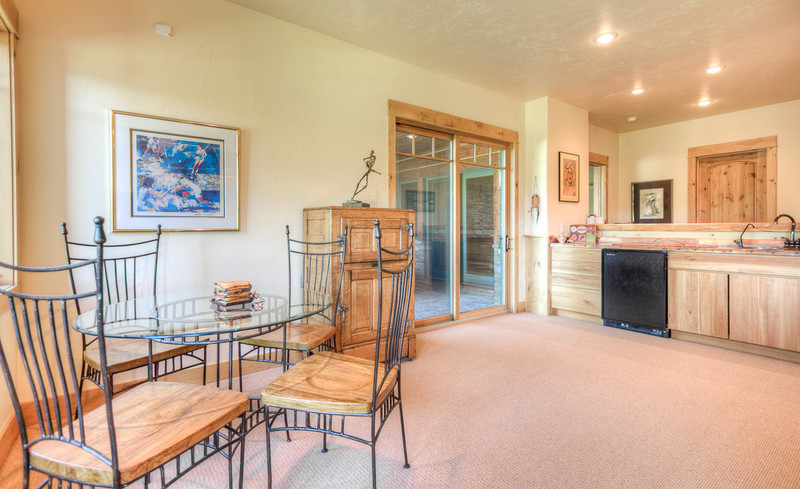 Downstairs there are an additional four bedrooms. 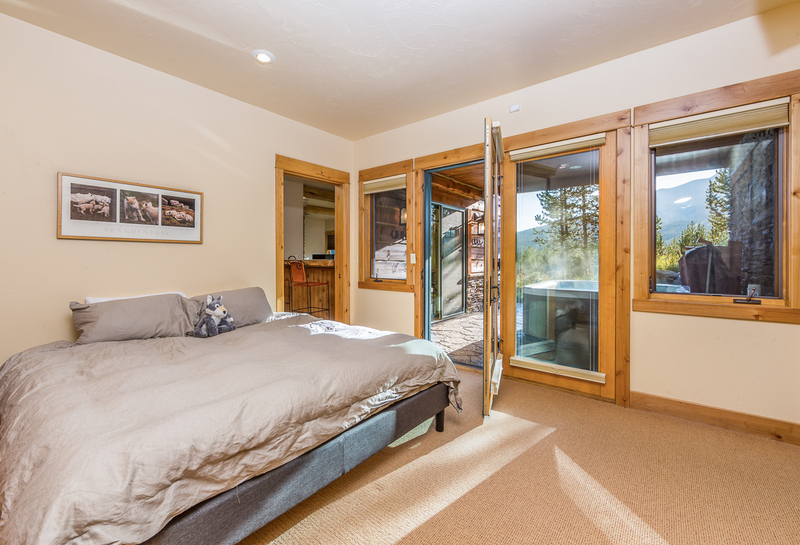 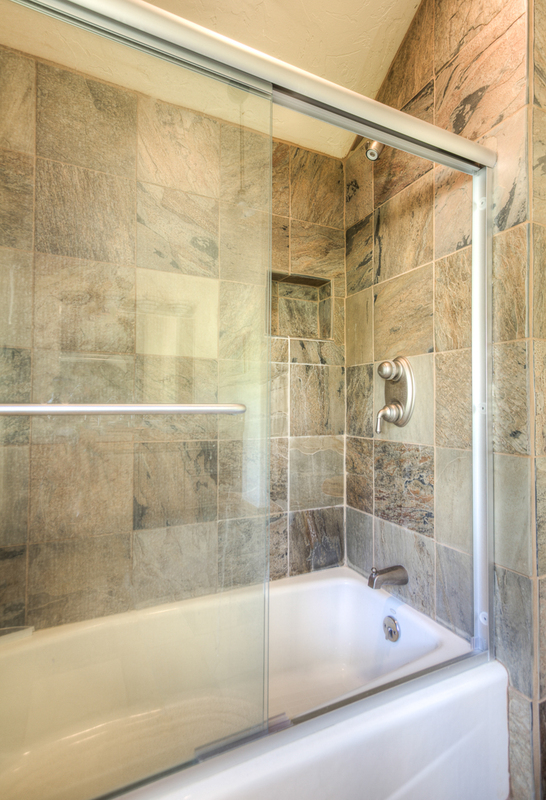 The fourth bedroom has a king plus a twin daybed and shared bathroom with a bath/shower combo. 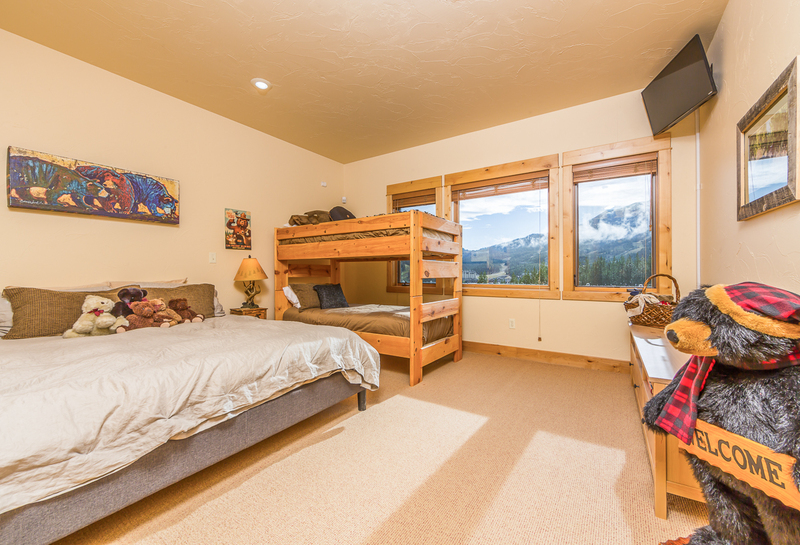 The fifth bedroom also known as the "Bear Den" has a king plus a twin bunk set. 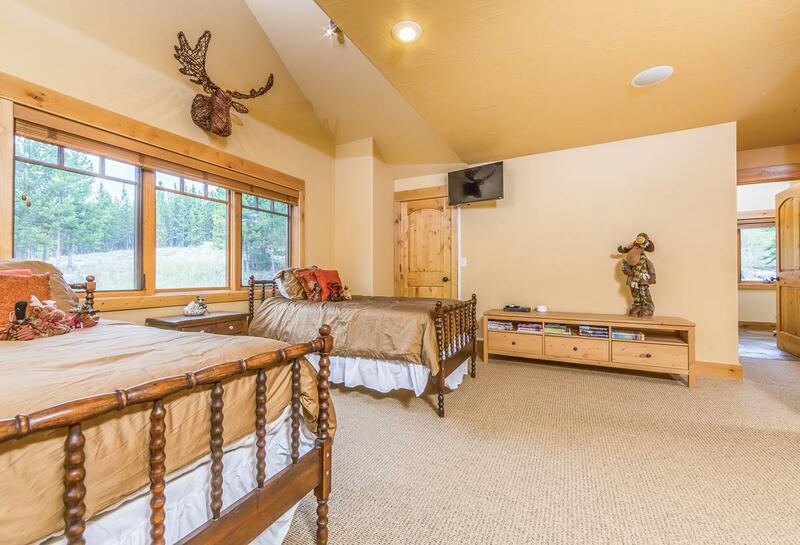 The sixth bedroom or the "Wolf Den" has a king bed. 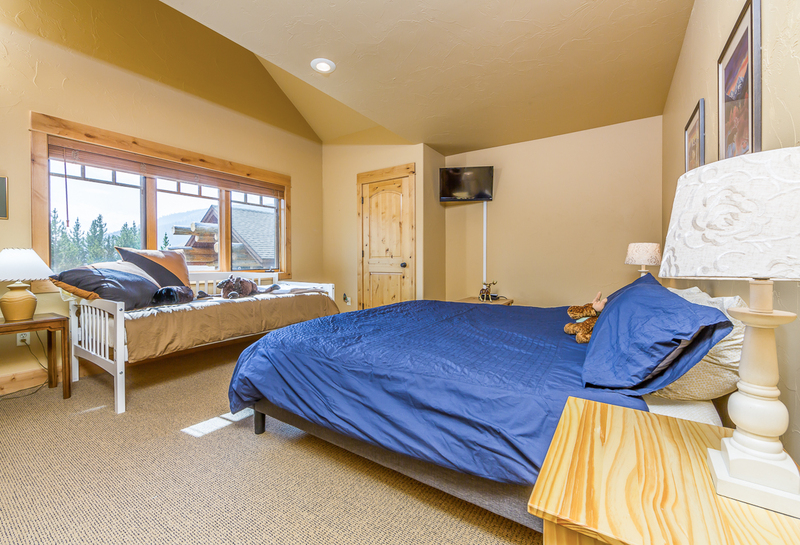 The seventh bedroom, the "Fox Burrow" has two twin beds and shares an entrance as well as a full bath with the sixth bedroom. 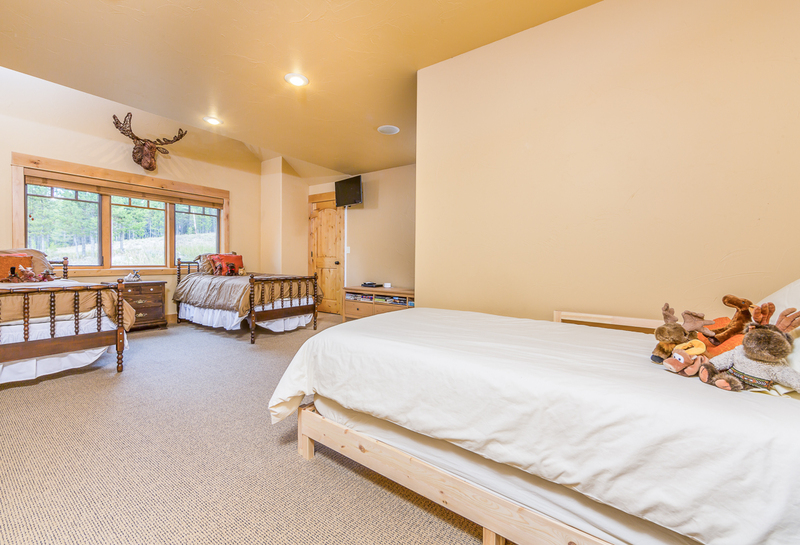 There is a daybed in the TV room for extra sleep space. 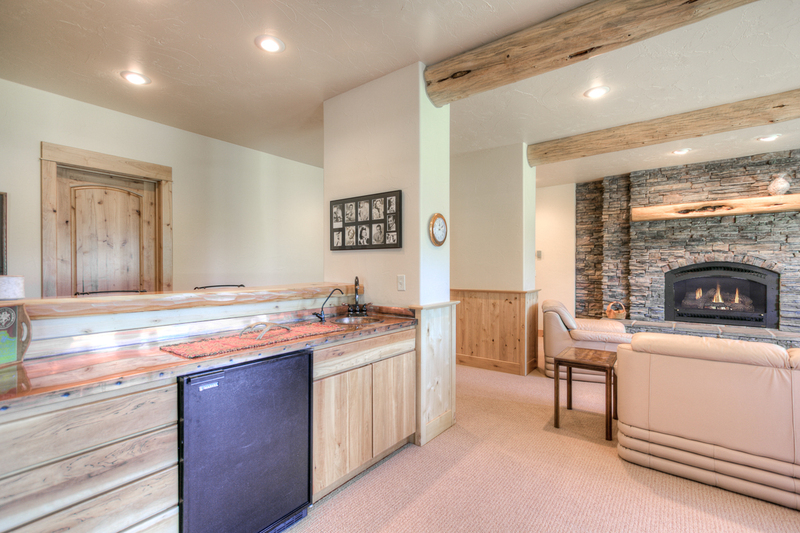 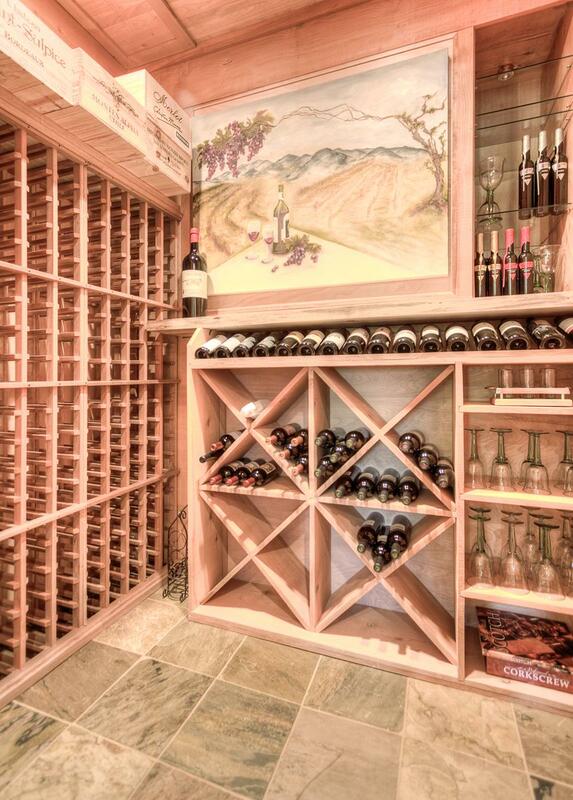 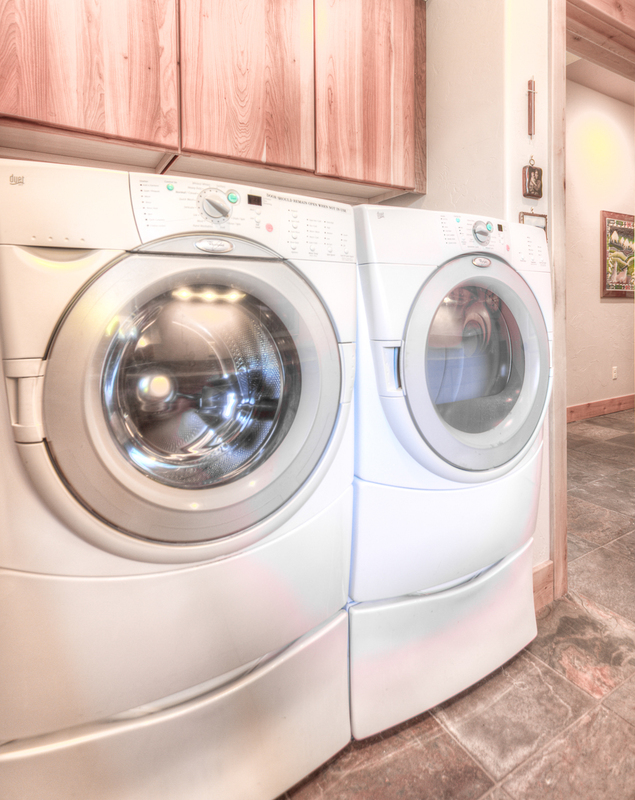 Stay dry and cozy during your vacation with the two car garage, complete with a mudroom and ski racks. 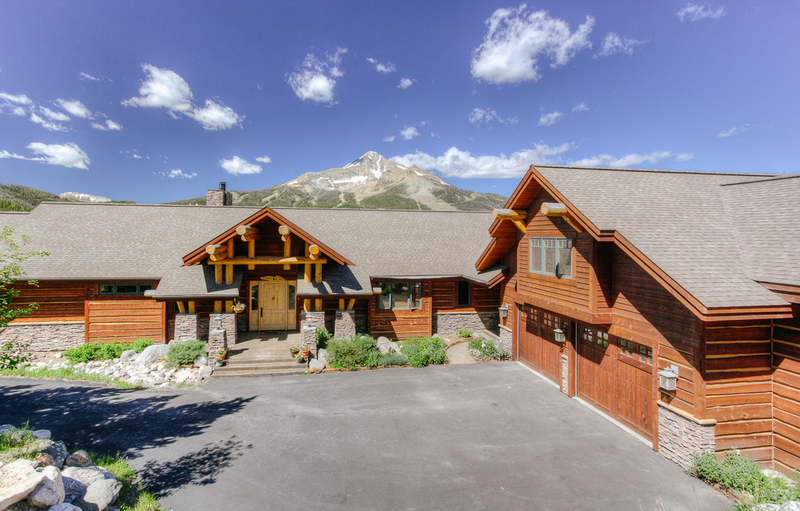 As an added bonus, guests have the option to use 2 SUVs at this home for the Winter season only at no additional cost. 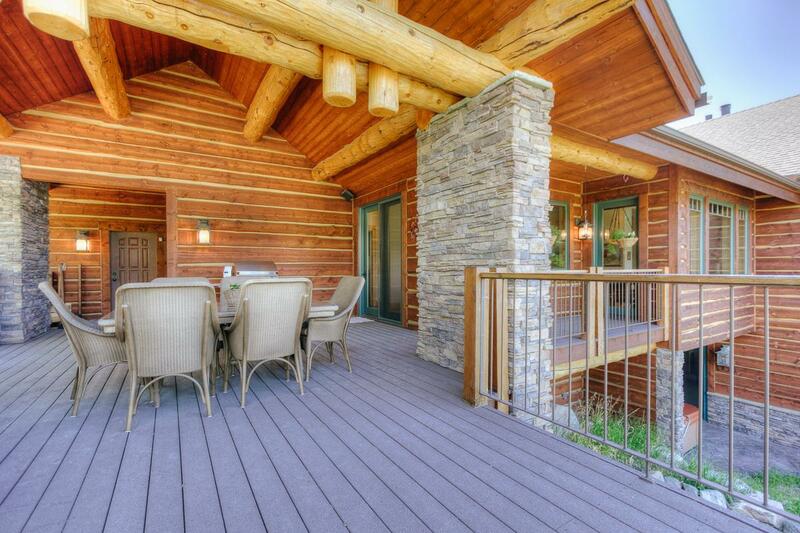 Please inquire with the Xplore team for more information. 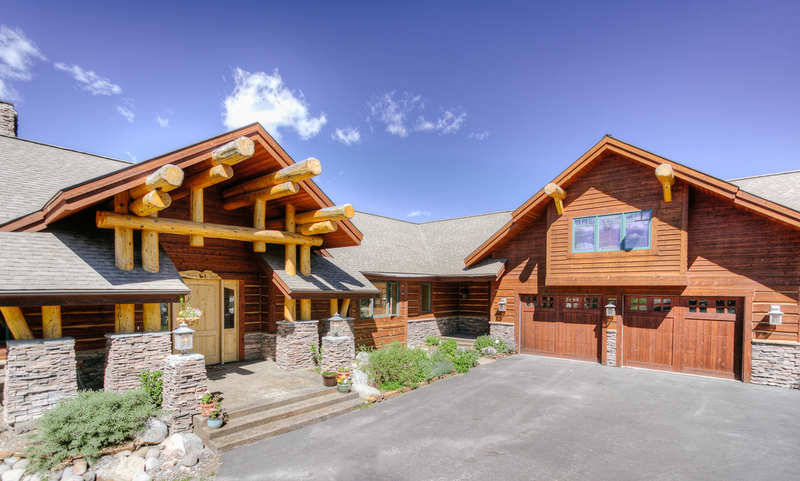 **Please note that 4-wheel drive vehicles are necessary for winter rentals at this property. 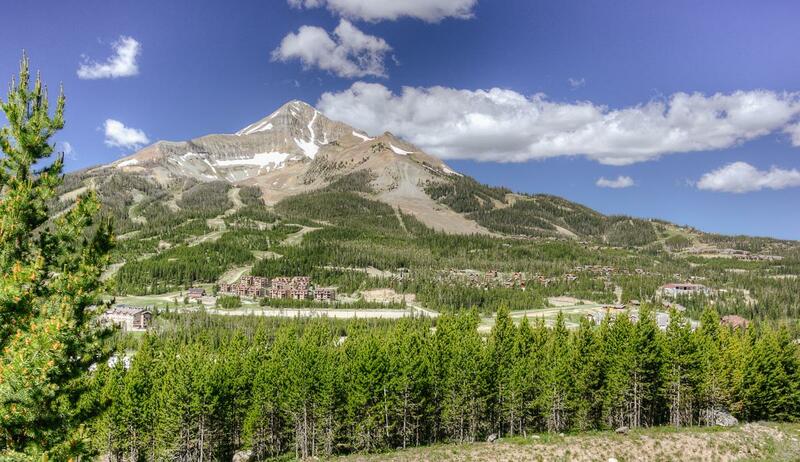 ***Early season and late season ski access is condition-dependent and dictated by Big Sky Resort operations. 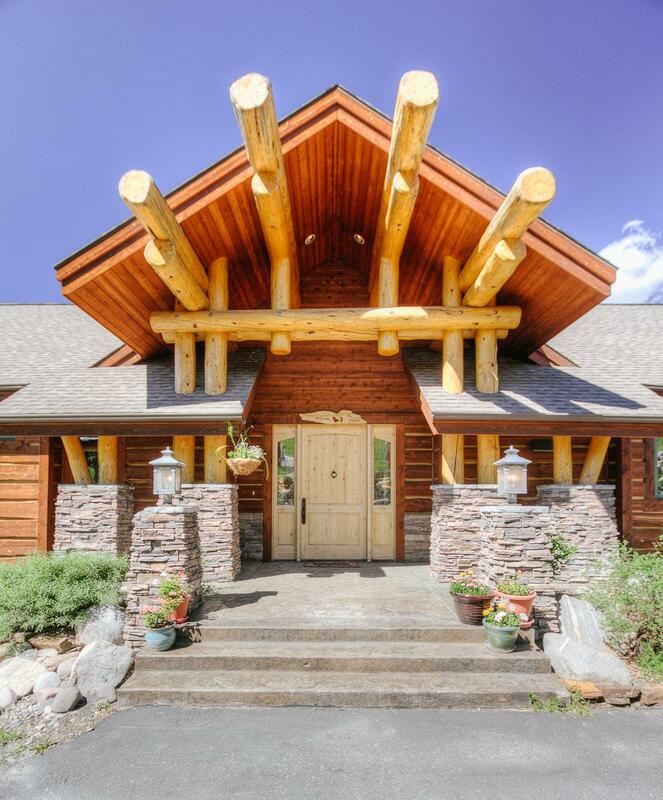 White Wolf Retreat is rated 5.0 out of 5 by 2. 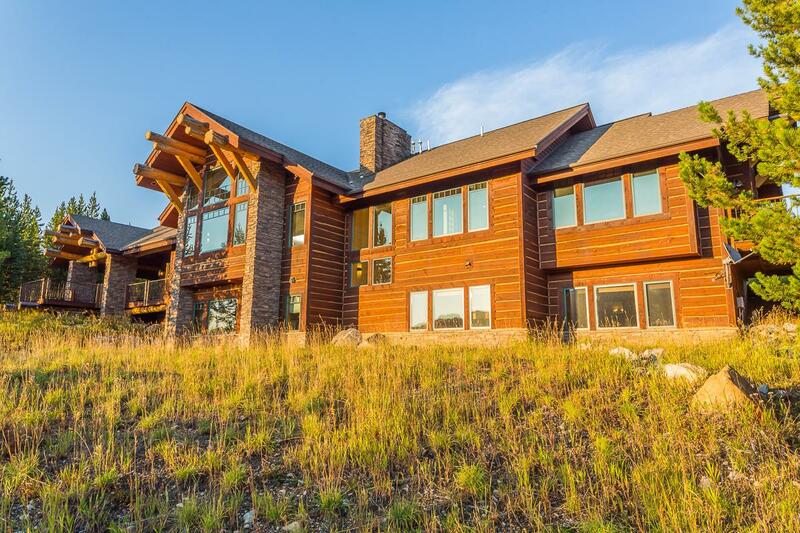 Rated 5 out of 5 by Chief200 from Fantastic View and Super House This house made our annual family vacation a real hit with all. 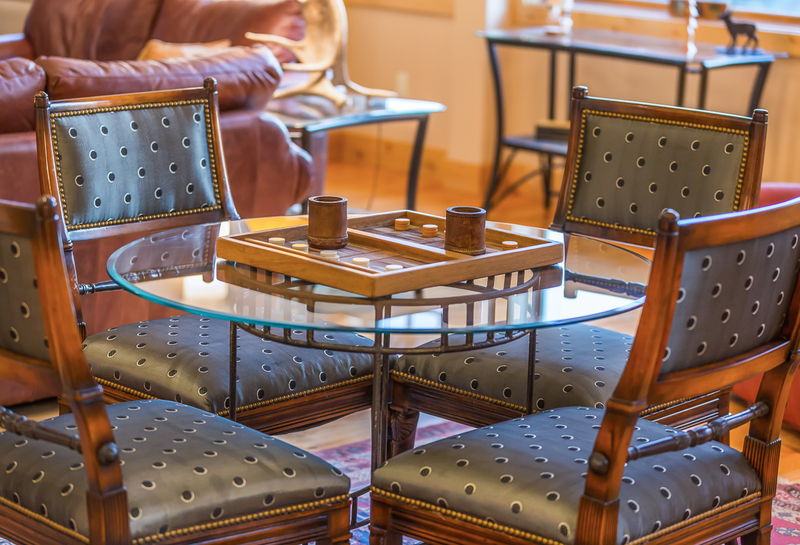 Everyone is hoping to return next year. 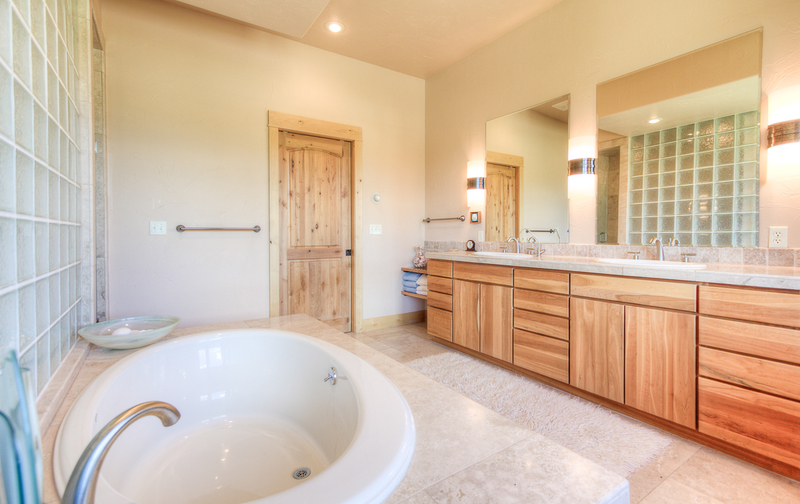 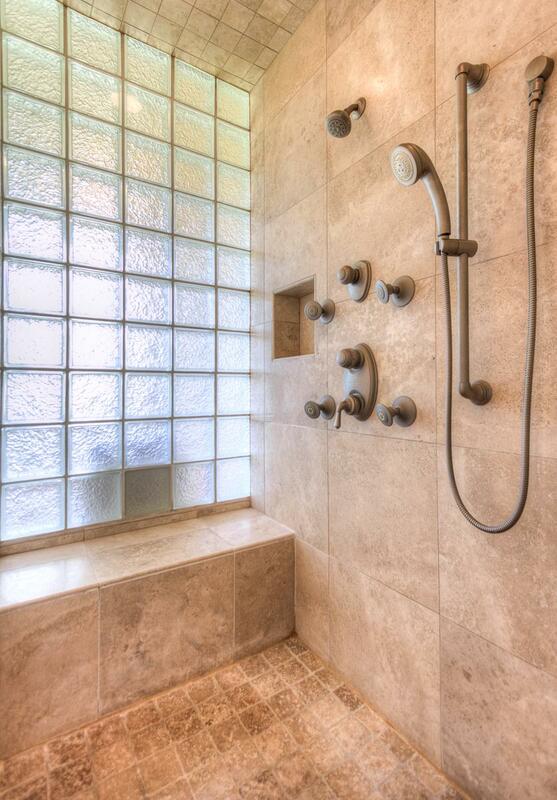 The bedrooms and baths fit our needs perfectly. 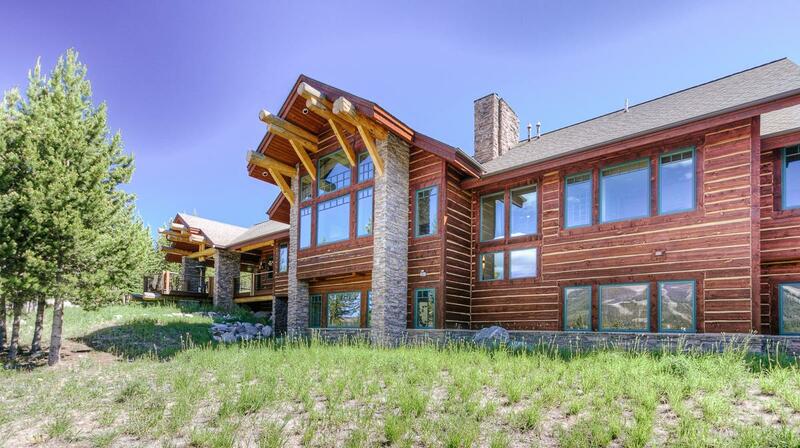 Everything was first rate! 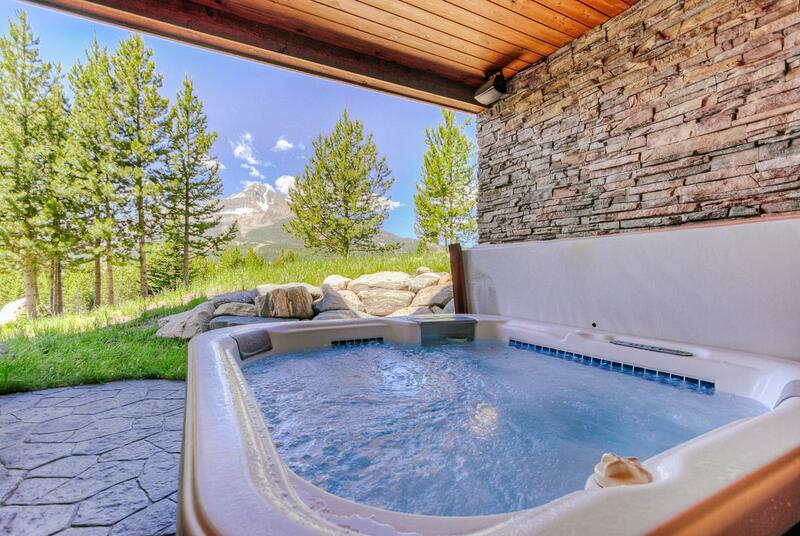 Rated 5 out of 5 by Susiepalooza from Amazon! 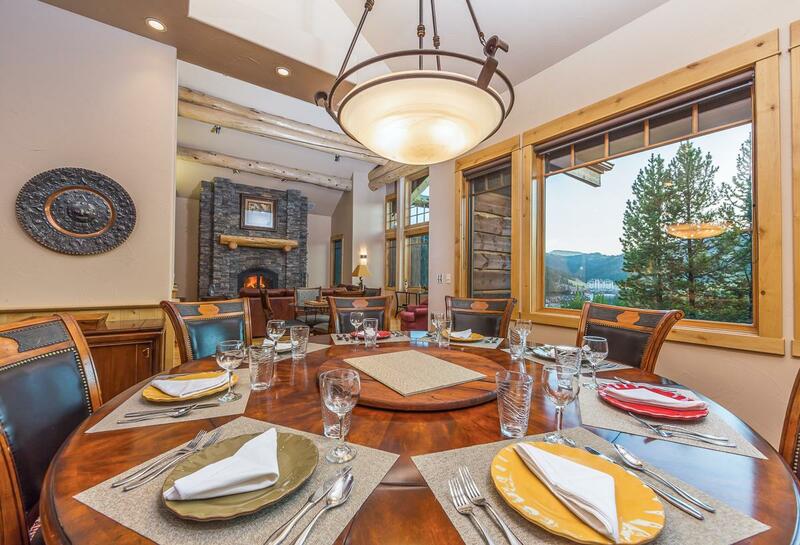 We had a great Thanksgiving 60th birthday party with family!